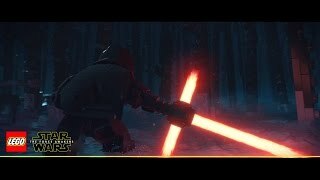 LEGO Star Wars: The Force Awakens — трехмерный платформер, разработанный студией TT Games. Игра основана на фильме Звездные Войны: Пробуждение Силы. В The Force Awakens представлен редактор, позволяющий совмещать внешний вид и способности различных героев, для создания собственных персонажей. Помимо того, в игре представлен и кооперативный режим. The most gaming fun I’ve had with either series in years. The story is great, the levels are dense with fun puzzles, and unlocking all of the secrets is a blast. 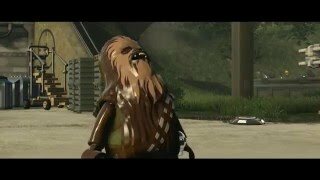 Lego branded video games veer little from their gameplay formula with each new entry, so to say that Lego Star Wars: The Force Awakens is one that should not be overlooked is a credit to the quality and faithfulness the developer delivered. While it's not going to change your mind one way or another, often there are two types of LEGO game, and thankfully this firmly falls into the "good" pile. LEGO Star Wars: The Force Awakens still feels limited in nature, but it's a better, more pointed effort than Marvel's Avengers, which was all over the place. It captures the spirit of Star Wars, but will feel very familiar if you've played a Lego game recently. These Lego games are confectionaries now, little candies that don't have a huge amount of substance but are enjoyable nonetheless. Lego Star Wars: The Force Awakens doesn't really take you to a new galaxy far, far away, but it's still a pleasant journey. 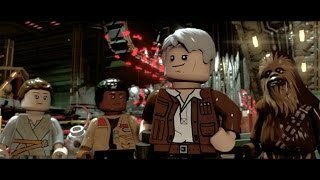 Это ни в коем случае не качественный скачок вперед для LEGO-сериала, но и не самая плохая его часть.